Today makes Day 12 of living with no kitchen. 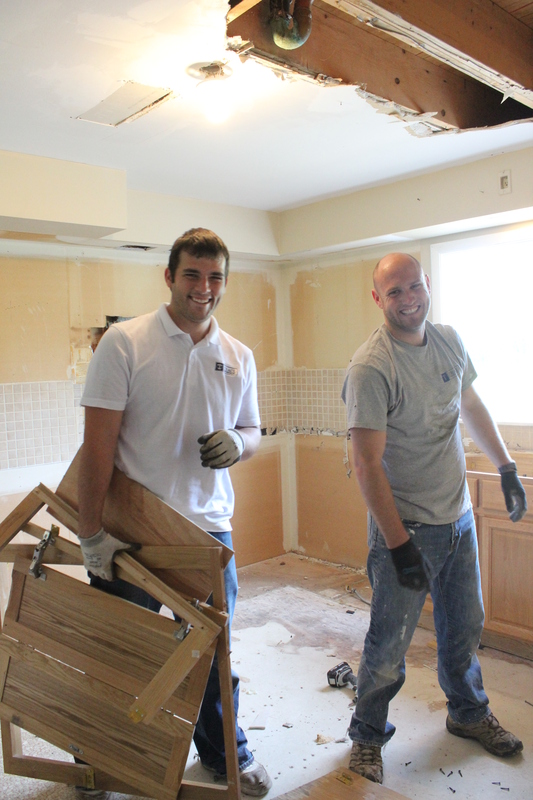 Last Saturday, Ben and my brother Josh completely ripped it out. 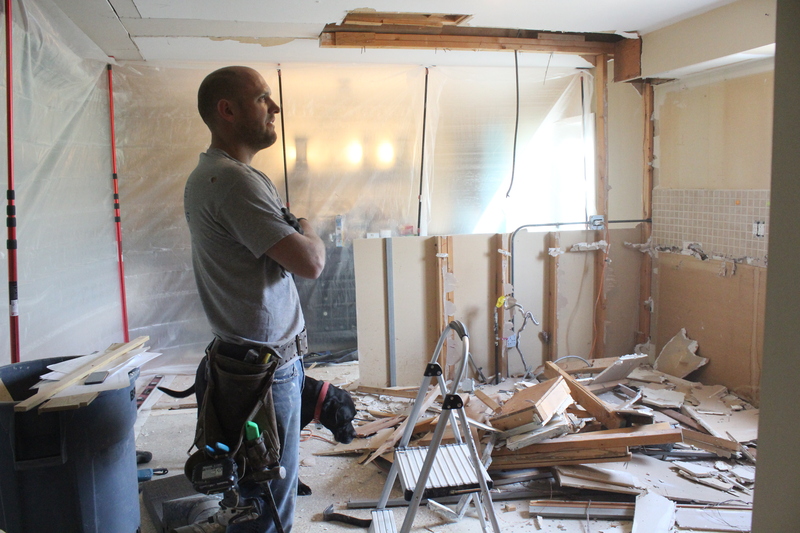 That also included removing half the wall between the dining room, and the wall between the kitchen and powder room. 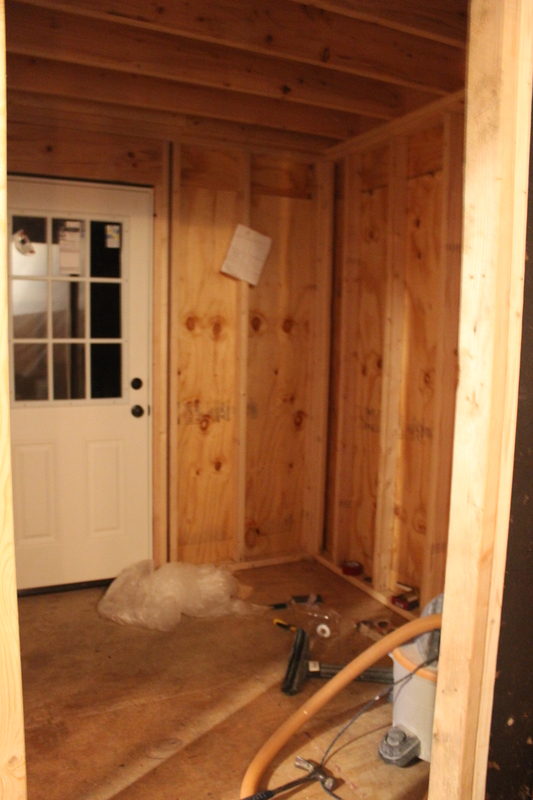 And the front hall closet. Yeah we have very few walls left on the first floor. But it totally works. Here is the blank slate. 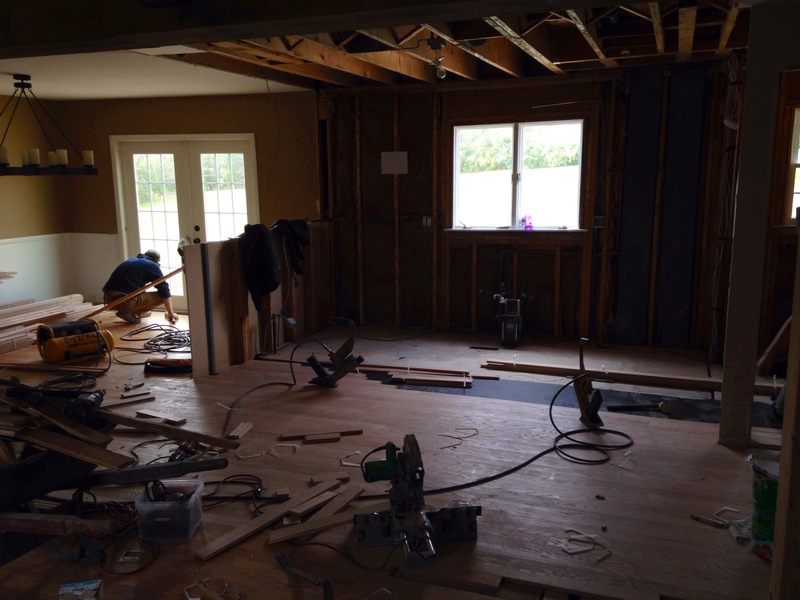 Next came installing hardwood floors. They exist in almost all of our house except for the kitchen and entry way. 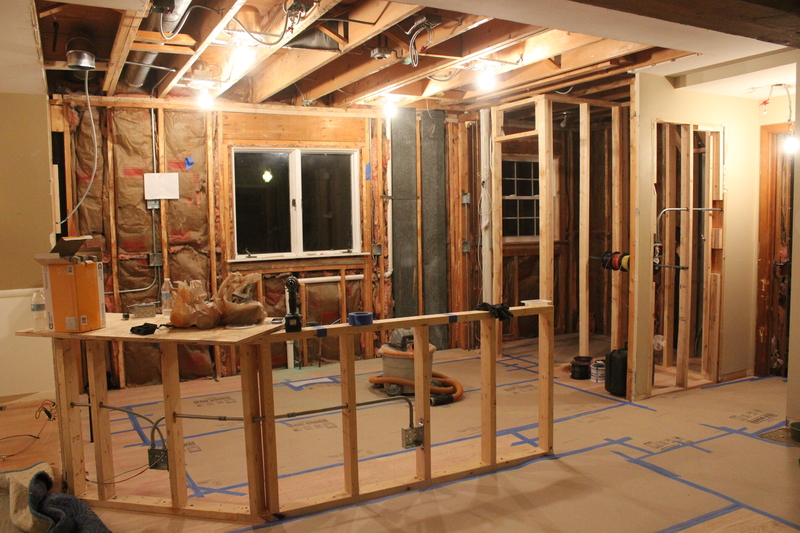 Then the electrician came in to install new can lights, outlets and pendants. 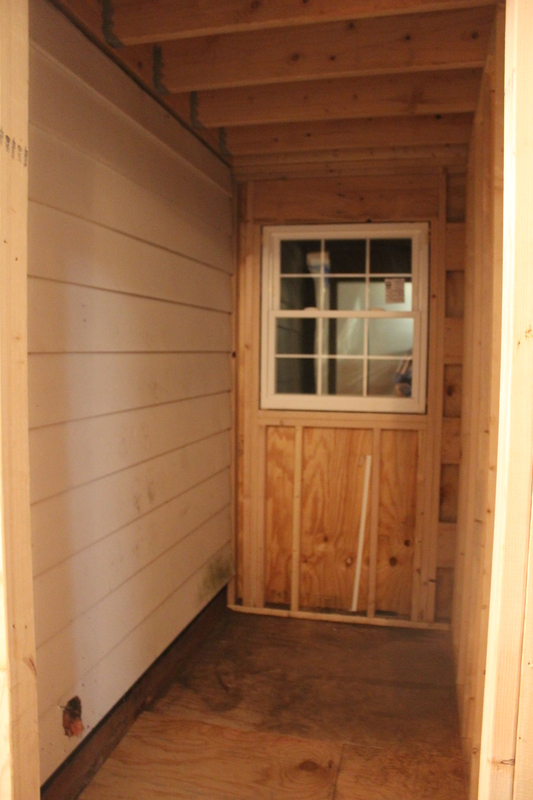 Plus the plumber to remove the old toilet and laundry hookups, since that room is becoming a pantry. 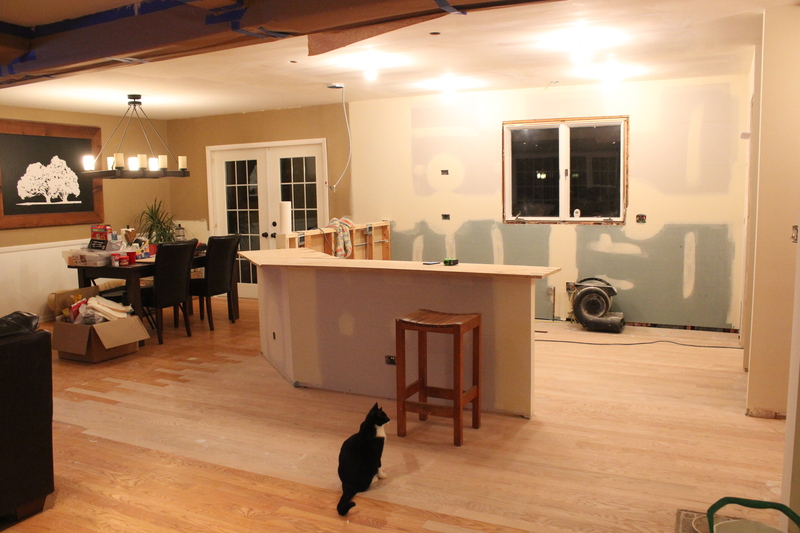 Then Ben framed up the peninsula and pantry and it was looking like this. 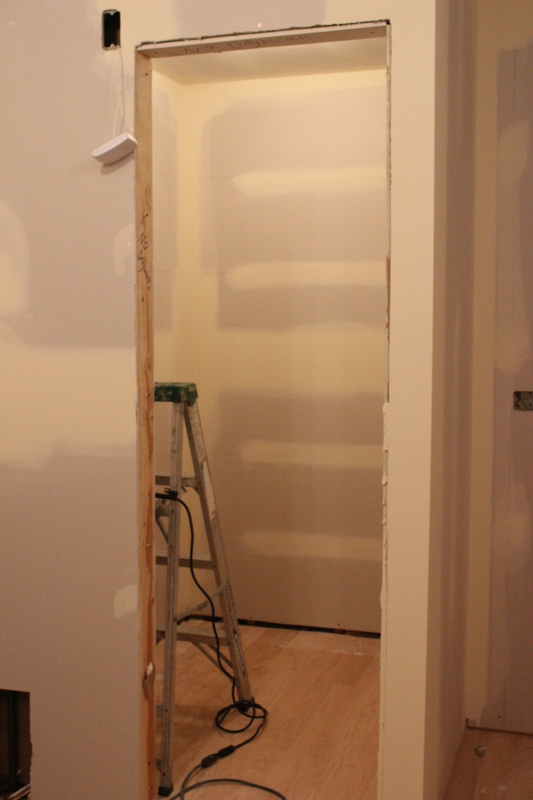 Then from Friday until today, the drywallers have been doing their thing. 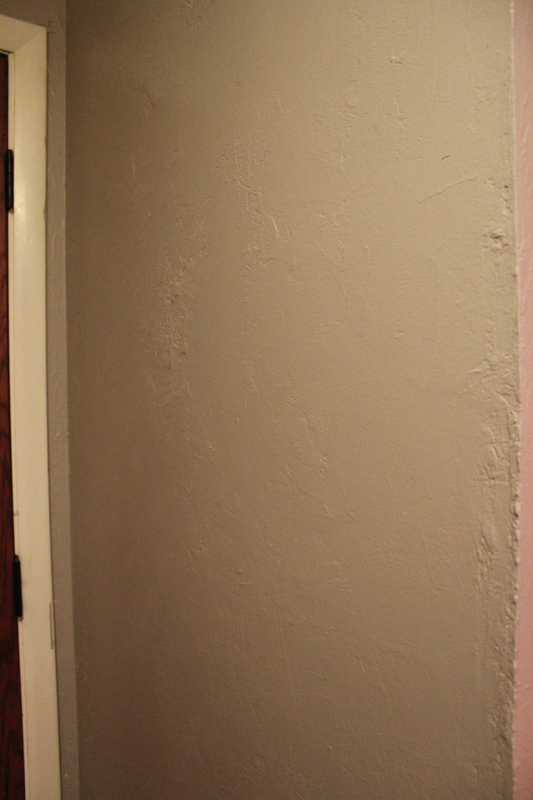 This also included skim coating the entry way walls and staircase wall which had a weird texture on it. You might not tell in photos, but it looked pretty bad up close. Thankfully, we escaped most of the drywall dust and spent a relaxing weekend up in Door Country. 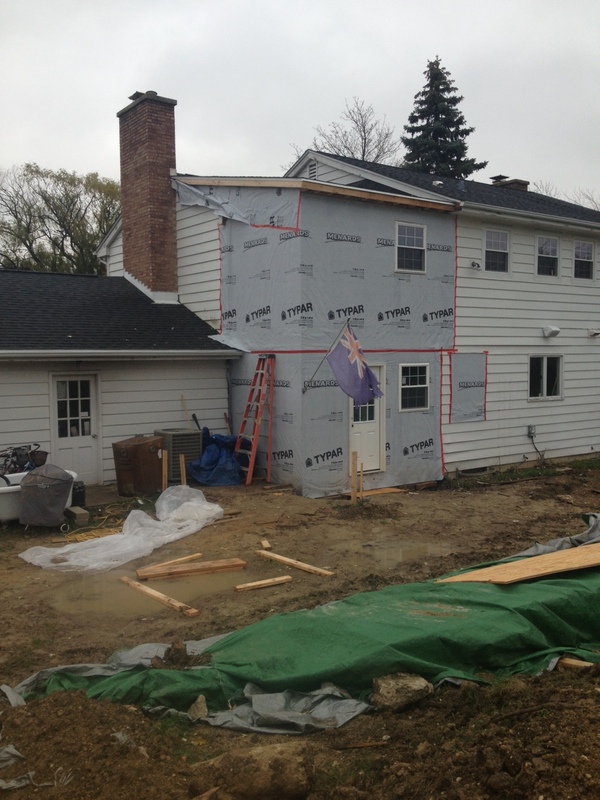 Happening simultaneously was the framing of our small 2-story addition off the back of the house. Doesn’t it look like it was always meant to be there? Don’t mind our terrible yard, we had to dig it all up for footings and a new sewer line. 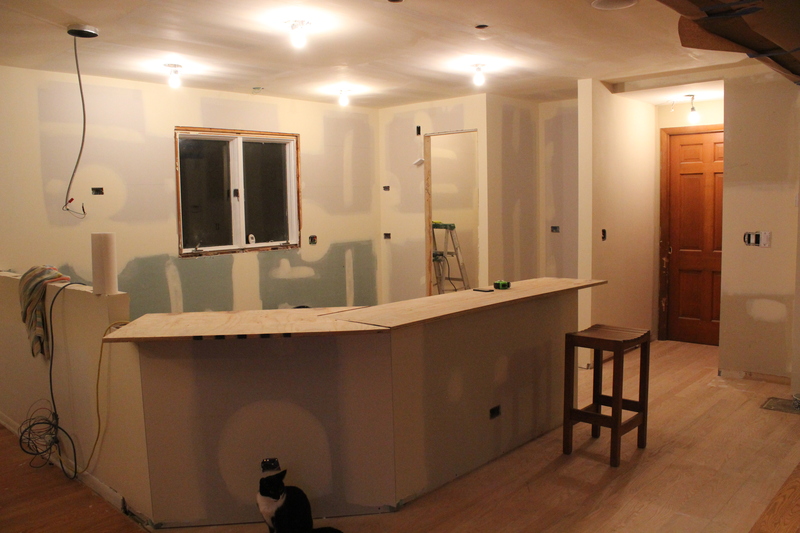 So, here is how everything is looking now, ready for priming and then cabinet install. 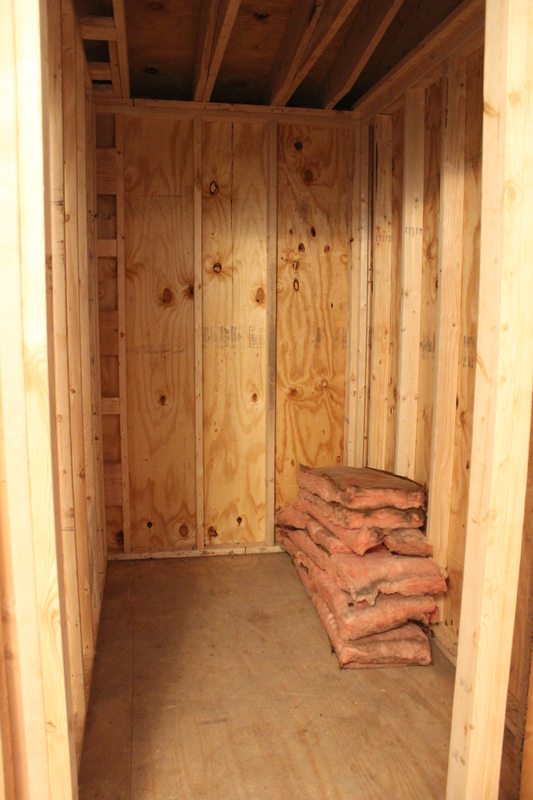 Here is the new pantry! We took out the window to make room for lots of shelves. 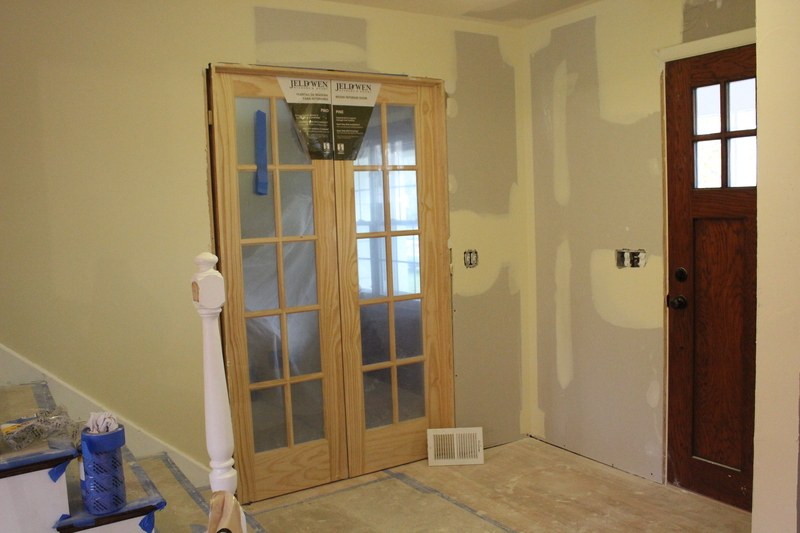 Here is the entry way with the closet gone and french doors added to the office/den. It makes a huge difference. 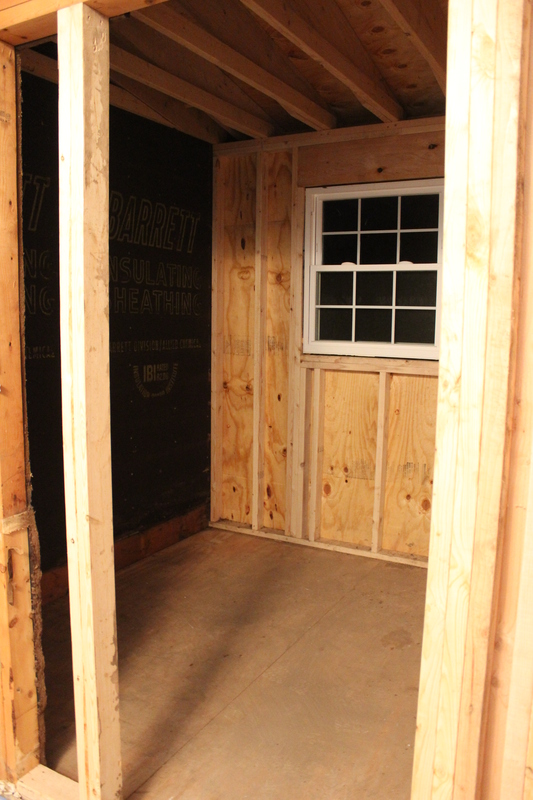 The addition is still rough, but downstairs will be a powder room to the left and a laundry room with exit out back on the right. 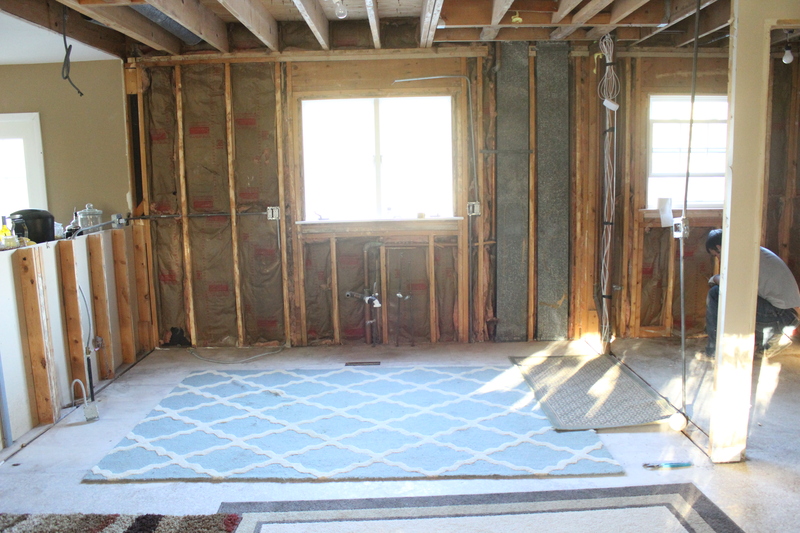 Laundry room: The upstairs part of the addition is off the future Master bedroom. 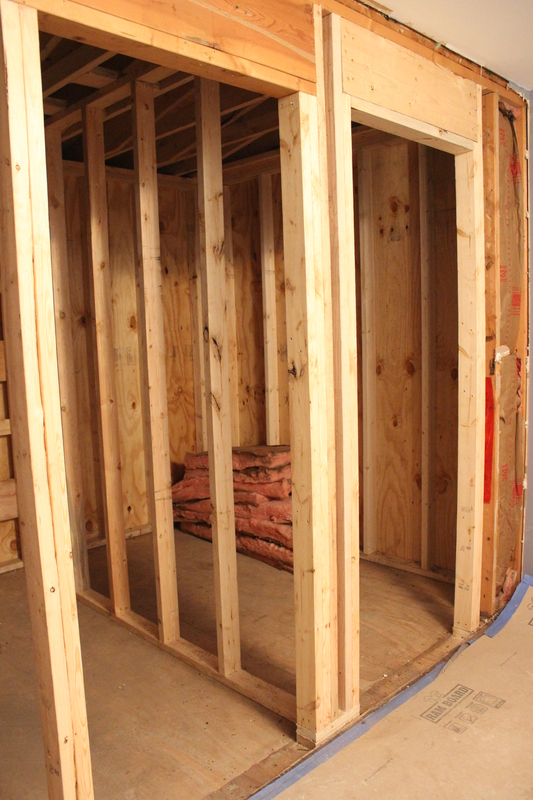 It will be the master bathroom and closet. But we will take our time to finish this part. Closet: So, a lot of changes in the past couple weeks. It’s been stressful but cabinets and appliances will be in by middle of next week. Siding is going up on the addition tomorrow. The end is in sight and we are getting so excited! Totally amazing, you guys are doing a great job.